The time has come! come get your “DEEP FRIED PORKY / 赤之火䐁”. If you’ve clicked on this, you’re one of the collectors who’s been after KAIJU ONE’s “PORKY” soft vinyl figures. With every version to date, selling out like hot cakes a glimmer of hope has been announced. 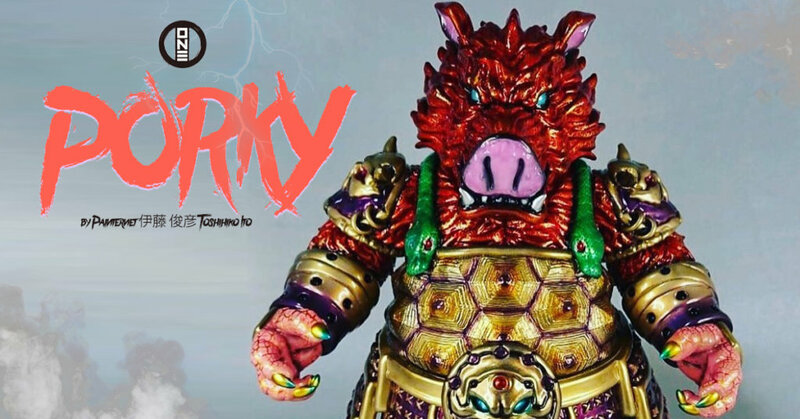 ONE-OFF PORKY Specially Painted and Custom by Painternet 伊藤 俊彦 (Toshihiko Ito) with subtle crack- paint out for SPECIAL LOTTERY now HONG KONG time Until the end of Monday.